READY TO MAKE ITS MARK. Break out from the pack with the go anywhere Phazer X-TX equipped with a ProMountain 144 rear suspension, 1.5 Freeride track and performance tuned HPG aluminum bodied shocks. WIDE, HOOKED END HANDLEBARS: No other touch point is more important to a rider than the handlebars. 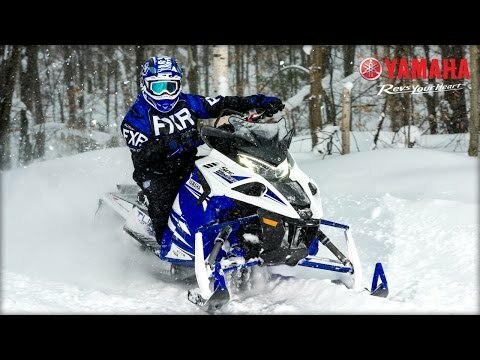 Yamaha bars are flat and wide, engineered for comfort, control, and natural ergonomics. Integrated hooked ends add additional control options while cornering, and feature heated grips across that span the entire length. DIGITAL GAUGE WITH PUSH BUTTON REVERSE: The compact handlebar-mounted digital gauge is packed with information and is displayed on a large-face, easy to read gauge. In addition, a convenient electric push button reverse is housed within the gauge package and actuates a servo-controlled reverse gear. LINK TYPE SWAY BAR: A standard link-type sway bar keeps the front suspension planted and flat, even in rutted, high-speed turns. EXTRUDED ALUMINUM SPINDLE: Saving weight and creating a nimble and responsive riding experience was at the foundation of the Phazer platform. Extruded aluminum spindles are lightweight yet incredibly strong. RIDER ACTIVE COCKPIT: From the sculpted seat, wide running boards, and open design of the controls, the Phazer X-TX platform was designed with the rider who like to be “one” with the machine when riding. WIDE RUNNING BOARDS: With its rider active design, narrowed seat, and sculpted cockpit, the Phazer platform touts wide running boards with additional grip for a sure-footed stance. REAR EXIT EXHAUST: Often considered a hallmark feature of many Yamaha snowmobiles, the Phazer platform also touts a rear-exit exhaust system that is exposed to the snow under-seat for additional cooling. 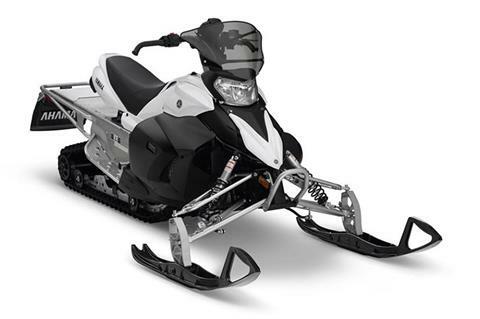 GENESIS 499 CC 4-STROKE ENGINE: A clear leader in its class, the lightweight and dependable sport - Performance Genesis twin was designed specifically to deliver a quick revving and torque laden power band. An advanced fuel injection system ensures consistent and efficient performance, while a counterbalanced crankshaft results in a smooth and super-crisp throttle response. KYB ALUMINUM FRONT SHOCKS: Premium, aluminum bodied, high-pressure gas shocks deliver consistent performance and comfort with excellent fade resistance. The shocks are also rebuildable, ensuring you season after season of consistent performance with proper maintenance. HPG REAR SHOCKS: High Pressure Gas (HPG) shocks with strong 36 mm bodies are calibrated to deliver consistent performance and comfort with excellent fade resistance. LIGHTWEIGHT YZ STYLE SEAT: Inspired from our family of motocross bikes, the lightweight seat is taller and narrower than a traditional snowmobile seat, providing greatly enhanced ergonomics for an active riding experience. 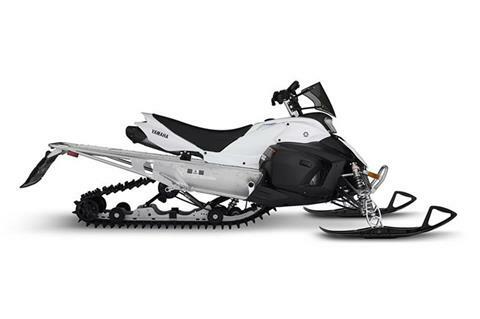 PRO MOUNTAIN 144 REAR SUSPENSION: Designed for maximum flotation, comfort, bump absorption, and flickable ergonomics, the narrowed ProMountain 144 rear suspension utilizes a cam-mounted front shock for improved motion ratio, and a rear cantilever system for consistent track tension. 1.5 INCH FREERIDE TRACK: Narrowed to complement the nimble and ergonomically friendly cockpit of the Phazer, the crossover X-TX features a versatile Free Ride™ track with 1.5 inch lugs that is equally adept on and off trail.